Fast-forward 14 years, the Florida Supreme Court ruled in a 4-3 decision that caps on damages in medical malpractice cases are unconstitutional. Victims and Advocate Groups finally prevailed against a despicable law that was nothing more but tort reform pretext made up as Floridian’ salvation from frivolous claims. In other words: a total lie. The very much intended consequence of the 2003 amendment was to kill medical malpractice claims in their infancy – and it worked! For 14 years, Personal Injury Lawyers had to review potential medical malpractice claims through the prism of statutory caps. As a result, an inordinate number of valid claims were turned down because the laws in place were mightily deterrent, regardless of the magnitude of injury or the type of negligence committed. Leesfield Scolaro’s recent settlements is the positive sign that Floridians should welcome. At last, their damages will be heard. 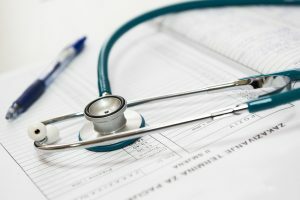 Health practitioners and their insurance carriers have started to compensate victims adequately or face a jury not bound by artificial and unfair caps. Lady Justice got her scale back.